The Chairman of the Board of JSC "Rosselkhozbank" Boris Sheets had a working meeting with Governor of the Novosibirsk region Andrey Travnikov. The sides discussed the issues of development of agriculture and strengthen the export potential of the regional agroindustrial complex, and also the expansion of cooperation between the RAB and the regional Government in the sphere of implementation of investment projects aimed at socio-economic development of the region. "Today Novosibirsk oblast demonstrates high performance in the field of agriculture. The region has significant reserves to improve the efficiency of agriculture, increase production and processing of agricultural products. Ensuring stable financing of the agricultural sector, Rosselkhozbank intends to maintain and increase achieved by the region indicators in agriculture. Special attention will be paid to the support of small business and implementation of investment projects", ‒ said the Chairman of the Board of JSC "Rosselkhozbank" Boris Leaves. 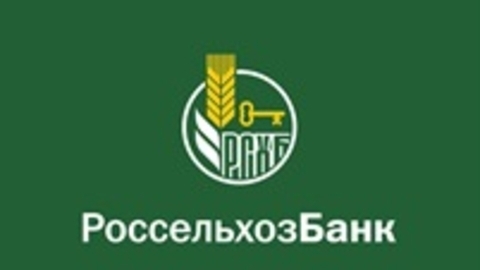 "One of the perspective directions of investment activity in the Novosibirsk region is the establishment of effective agricultural production, support of Russian agricultural Bank in this matter considerable. In the framework of the state program of preferential crediting of agricultural enterprises together with the regional Ministry of agriculture, the Bank reviewed this year, over 40 investment projects, some of them have already received funding and is being implemented in the region", - stressed the Governor of the Novosibirsk region Andrey Travnikov. The planned volume of investments into the economy of the Novosibirsk region is 34 billion roubles. The regional government expects to strengthen cooperation with Rosselkhozbank in the development of agriculture. Only in 2018 the agricultural Bank has provided farmers and processors of agricultural production in Novosibirsk region of 10.6 billion roubles, including 5.9 billion rubles in the framework of the mechanism of preferential crediting of agriculture. To Finance seasonal operations in 2018 issued 4.2 billion. The Bank's share in the lending market seasonal work in the region is 91%. Rosselkhozbank operates in the Novosibirsk region since 2001. During this time, the volume of Rosselkhozbank investments in the economy of the region amounted to 175 billion rubles.